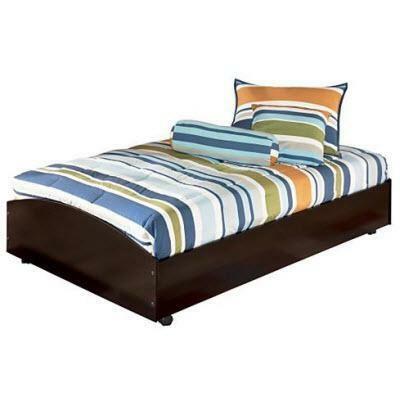 The dark finish and simplified contemporary design of the Embrace Twin Loft Caster Bed. It creates a sleek stylish collection that any child would love to have within their bedroom decor. The deep merlot finish flows flawlessly over the straight-lined contemporary design making this furniture awaken the style and excitement of any child's bedroom. This collection is stylish enough to spark the interest of any child. 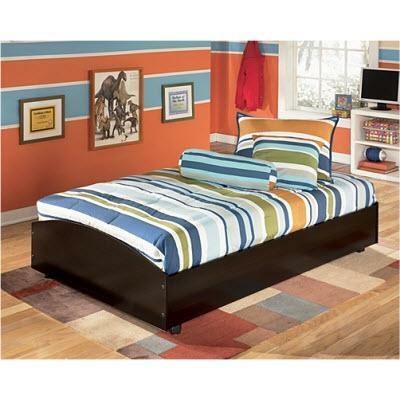 Create a fun and refreshing bedroom decor with the contemporary design of the "Embrace" Youth Bedroom Collection. Additional Information Dark merlot finish. Casual contemporary style. 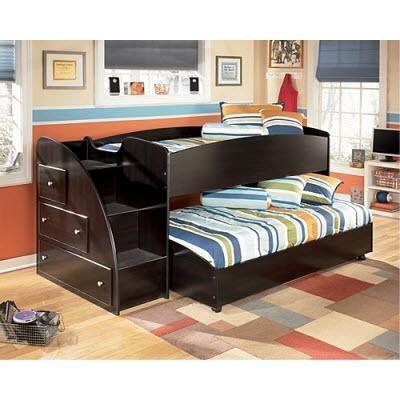 Bottom loft bed features casters.